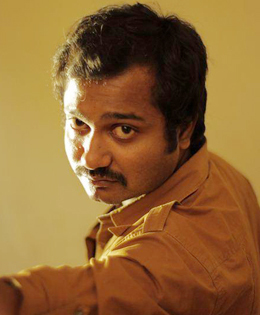 Though Bobby Simha rose to fame in Neram, it was Chennai Ungalai Anbudan Varaverkirathu directed and produced by Maruthupandian where he made his debut. But the film has been under post-production for a long time and is still awaiting release. But the real reason behind it is, according to sources, the dubbing portion of Simha which is still pending. “Simha is demanding a huge payment of 35 lakhs to dub for the film since the time when he signed his film and his current status is poles apart. Now, he is a national award winner. When he signed the film, he was a no body. It was only through Maruthu Pandian he was introduced to the director of Neram, got his break and tasted success in many films,” informs a source to 2DayCinema. Simha ‘s upcoming films include Masala Padam, Iraivi and Paambhu Sattai where he is starred opposite Keerthy Suresh.